Gary Hyde (pictured left) took over as branch secretary of the South East London branch of the Musicians’ Union in 1978, replacing Vic Knight, a position he held until 1998, the year he was elected to the Union’s Executive Committee. 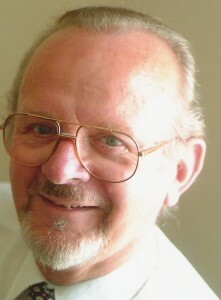 Under reorganization, he became branch officer for the South and South East London branches in 1999 until 2004 when the Union’s branch structure was dissolved. 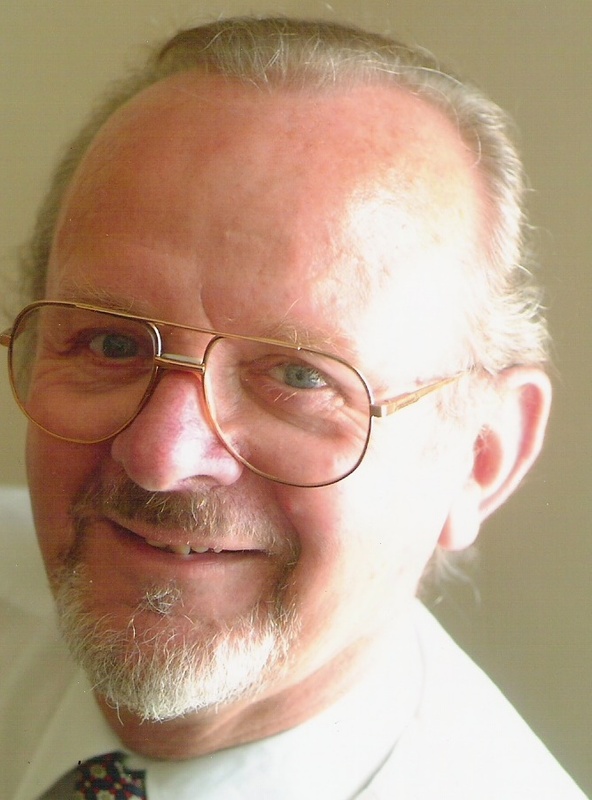 He became East and South East England Regional Organiser in August 2004 until his retirement in 2006. Here he describes and reflects on the working of the branch. Until 2005 the Musicians’ Union had geographically based Branches, a local contact point with Branch Meetings giving members the opportunity to meet regularly. I hope that my many former colleagues will accept the fact that my reflections made are based on the South East London Branch operation. As a Branch Secretary I endeavoured to make my self available to members 24/7 but the Branch Meeting and newsletters were the focal points of the Branch. My predecessors in South East London Branch realized this and strove to make both more appealing. In 1951 the Branch instigated a regular musical event running parallel to the monthly meeting. Members participated with jam sessions or working bands performing. It didn’t really take off until the later 1950’s but to Branch closure in 2004 it went from strength to strength. To get people to an event communication is important, the Branch realised this and made newsletters chatty, interesting and informative as opposed to a simple notification of meeting. Until 1991 the newsletter was a duplicated monthly document, up to four pages, “The Monthly Review”. Official notifications featured plus items of interest/for sale submitted by members, even cartoons from one member. The December issue, being 16 – 20 pages, still duplicated, contained local music shop adverts to offset the cost. In 1992 I produced a quarterly 20/24 page issue, now contracted to a printer, re-named “The Review” and containing photographs, articles of interest from members plus official notifications. A full page advert styled on a theatre bill gave details of each quarter’s events. As “What’s on down the Union” became a regular request the advert page had that heading. Meetings weren’t just meetings, they were events. <img src="http://www.music.arts.gla.ac.uk/muhistory/wp-content/uploads/Screen-Shot-2013-04-29-at-16.02.51-221×300.png" alt="" title="Screen Shot 2013-04-29 at 16.02 click this.51″ width=”221″ height=”300″ class=”alignleft size-medium wp-image-753″ srcset=”http://www.muhistory.com/wp-content/uploads/Screen-Shot-2013-04-29-at-16.02.51-221×300.png 221w, http://www.muhistory.com/wp-content/uploads/Screen-Shot-2013-04-29-at-16.02.51.png 366w” sizes=”(max-width: 221px) 100vw, 221px” />In 2000, with the permission of the Branch Committee, I produced a 54 page Branch history book for our members entitled “The Review Reviewed” which included items from the “Monthly Review/Review” from 1951 – 1999. In later years we added a comprehensive Branch website and I well remember one of the senior Committee members being excited as the Branch had “gone international”. Of course when you have a gathering of members you need to make it interesting, so what do you do when they are there? The Committee Meeting, the first Sunday of each month, ran from 11am until about 12 mid-day. The quarterly Branch Meeting followed, usually running until 1pm or its completion. The social event ran parallel monthly thereby maintaining member contact – the first Sunday of the month you could go “Down the Union”. Until subscriptions were collected centrally, applicants for membership applied to the local branch for admission and would be asked to attend a Committee meeting at which their application was to be considered. Applying to both new and re-admitted members, it gave us the opportunity to meet at least once with every Branch member. Meetings dealt with matters swiftly and efficiently, allowing us to meet and respond to queries from members enjoying the social aspect in the main function room afterwards. Our Sundays became a “surgery”. The music tradition begun in 1951 continued. Members gathered, enjoying music of every type; rock, small group/big band jazz, pop, a ladies Palm Court Orchestra, on one occasion a bagpiper. We were grateful to musicians who volunteered their services and to my wife Lilly who, as well as working for the MU, provided a buffet for each session. Expenses, not including Meeting Room hire, were met by a raffle so effectively costing the Union nothing. A full supply of MU literature, stickers, T shirts etc., was always available. Special presentations such as Gold Cards to members were made at these events. This could not have taken place without people volunteering their services, and who did it because they believed in the MU. That was the side that everyone saw but there was still the business side. Paper work and projects generated by the meeting, correspondence, finances, reports, claims for legal assistance etc. all had to be dealt with promptly and reported back to the following month’s meeting. Pastoral care was high on our agenda and I visited sick members or those in difficulty to see how we could assist. Claims for Legal Assistance were frequent, including my court attendance with members – I like to think that I had a good success rate in this area. I undertook regular visits to local educational establishments, shops, rehearsal studios, venues, community projects. These included speaking engagements, topping up MU literature and maintaining a high MU profile. MU Music Promotion Committee grants given to organizations such as music projects, employment of musicians, were always presented personally by the Branch Chairman or Vice Chairman and I. Another way of raising the MU and Branch profile – the personal touch was vitally important to us. The Branch was involved with National Music Day from its inception in 1992 and in the 1980’s created a Youth Advisory Panel. Initially to oversee a series of gigs promoted for local MU member rock bands, it eventually became a PR panel. It was important that the MU and its musicians had the highest possible profile locally. We were an important part of the community and I believe that people respected us. Musicians spend a lot of time and money on their studies and instruments and we went to great pains to tell people that it was not a hobby but a “proper job”. Occasionally we also had to remind musicians of this fact! Venues were encouraged to employ live bands; the Millennium Dome had no plans for employment of live musicians on a regular basis but resulting from a South East London Branch initiative, two walkabout jazz bands were subsequently employed daily for the full year. A local ballroom, no live band for many years, was encouraged to engage bands, albeit only on a Saturday basis. We featured in the local press on a number of occasions, taking the front page of one paper with our local campaign against the dismissal of live bands from pantomimes. We had to be proactive, utopia was going to be hard to find but we had to keep trying. It should never be forgotten that it would have been extremely difficult for the above to have happened without the assistance of Branch activists and I include colleagues in South London with whom I spent only a short time. To those who supported me in both Branches, my sincere thanks. Without you that which I have written above could not have been.